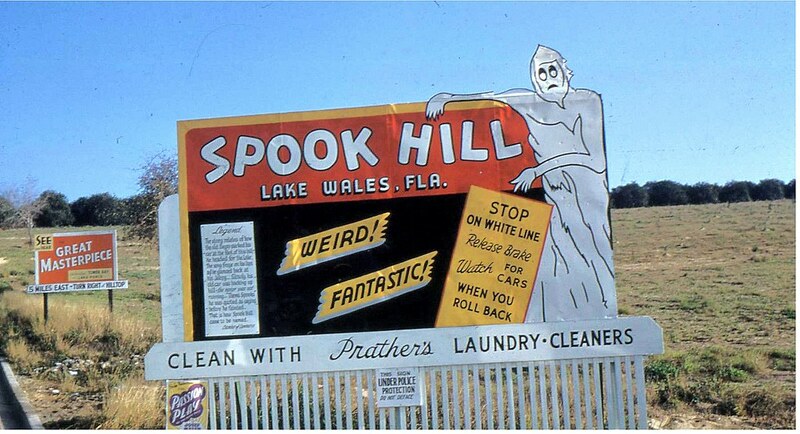 What’s so spooky about this hill, located in Lake Wales, FL? Well, for us Floridians any land more than a few feet above sea level is a bit spooky, but on this particular hill the laws of gravity cease to exist!! The site was once home to a band of Seminole Indians, who lived peacefully on this hill next to a lake for many years. That peace was interrupted, however, when a huge alligator started harassing them. We don’t know what prompted the gator to attack the Seminoles (the first UF-FSU game would not occur for another century), but the attacks continued. The tribe’s chief finally had enough. He set out to, and did, slay the giant gator. Later, mail carriers riding special mail-carrying ponies noticed that when they went around the lake their ponies, despite highly-trained mail-carrying abilities, would struggle heartily on the way DOWN the hill. Citrus growers with mules pulling carts full of fruit experienced the same phenomenon. 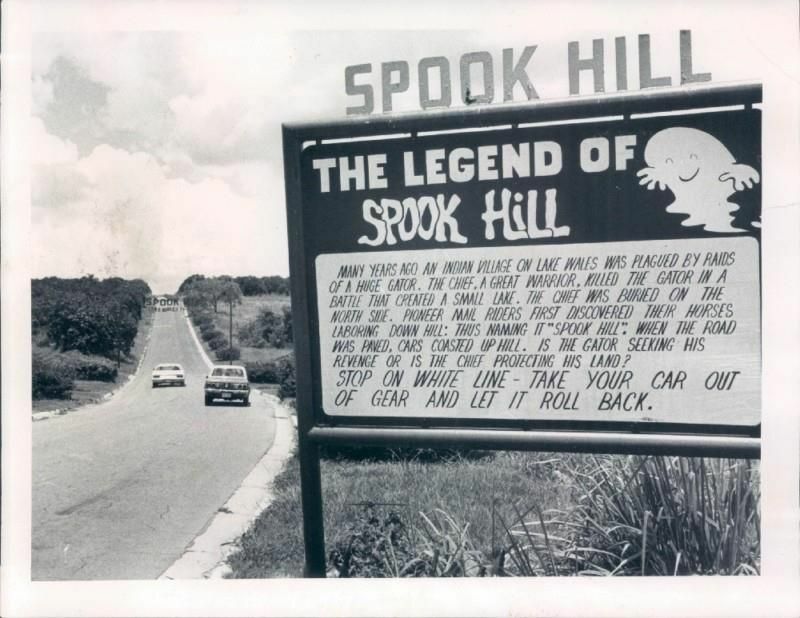 Spook Hill has since been paved, but you can still visit and experience the same spooky absence of gravity that has plagued the area for generations. Just stop your car at the base of the hill, put it in neutral, and it will roll to the TOP of the hill… much to the delight of the passengers in your car and the locals forced to drive around you during their commute. Why does it happen? Some say it’s that slain gator seeking revenge (and apparently thinking rolling cars in neutral to the top of a hill is a monumental inconvenience); others say it’s the old Seminole Chief protecting his land. We at South Florida Clothiers South Florida Friday Fun Fact think it’s the Chief! Happy Halloween Florida!